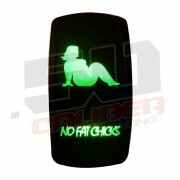 Arctic Cat aftermarket performance parts, harnesses, led bars, cdi boxes, beadlock wheels, and more. This redesigned CDI Box/Rev. 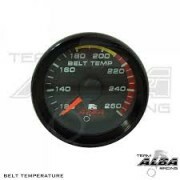 Kit increases 1,000 RPM over the stock for forward & increases 500 RPM over the stock for reverse. 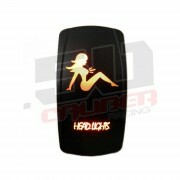 In addition, our best re-mapped built-in timing curve can add huge horsepower to your machine. 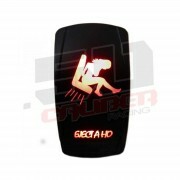 Added Speeds up to 10mph. 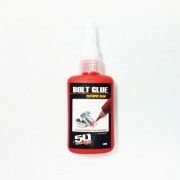 Red Bolt Glue 250ml bottle high strength thread locking glue. 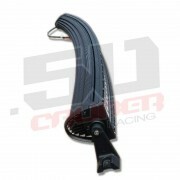 This is a bolt glue by 50 Caliber Racing. Its purpose is to keep your nuts and bolts together! 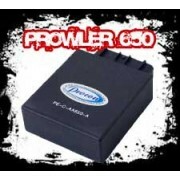 Its excellent for engines or any nuts and bolts that get vibration. 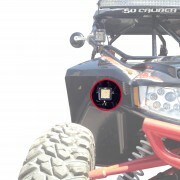 If you are tired of nuts and bolts rattling lose this is your solution! 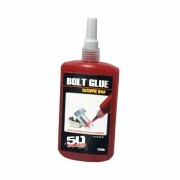 50cal 271 High Strength RED Bolt Glue 50ml bottle high strength threadlocker. 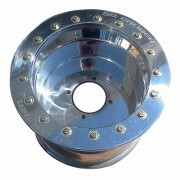 This is a bolt glue by 50 Caliber Racing. Its purpose is to keep your nuts and bolts together! 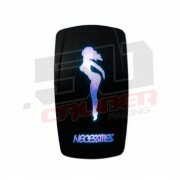 Its excellent for engines or any nuts and bolts that get vibration. 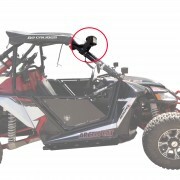 If you are tired of nuts and bolts rattling lose this is your solution! 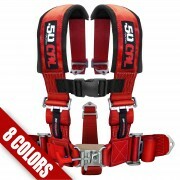 50 Caliber Racing 2" 5 Point Safety Harness - 2" wide straps - Sewn in pads for maximum comfort - Latch lock system with quick release pull strap - Adjustable straps to fit almost anyone - 5 Point - Includes crotch strap All colors in stock and ready to ship! 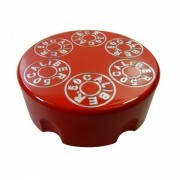 Red 50 Caliber Racing On/Off Rocker Switch - This rocker switch is a 20 amp switch and can be used for 12 or 24 Volt applications. 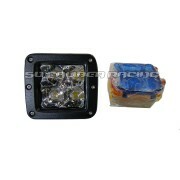 These are completely waterproof and can be used in UTV's, Boats, Cars, Trucks, Sand Rails, as well as any other vehicle. 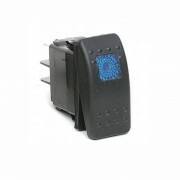 Blue 50 Caliber Racing On/Off Rocker Switch - This rocker switch is a 20 amp switch and can be used for 12 or 24 Volt applications. 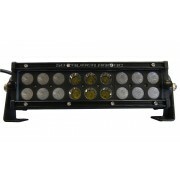 These are completely waterproof and can be used in UTV's, Boats, Cars, Trucks, Sand Rails, as well as any other vehicle. 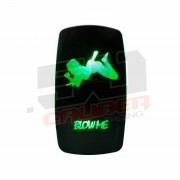 Blue 50 Caliber Racing On/On/Off Rocker Switch - This rocker switch is a 20 amp switch and can be used for 12 or 24 Volt applications. 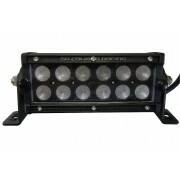 These are completely waterproof and can be used in UTV's, Boats, Cars, Trucks, Sand Rails, as well as any other vehicle. 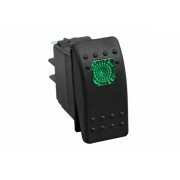 Green 50 Caliber Racing On/Off Rocker Switch - This rocker switch is a 20 amp switch and can be used for 12 or 24 Volt applications. 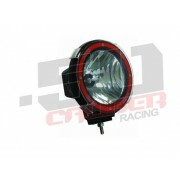 These are completely waterproof and can be used in UTV's, Boats, Cars, Trucks, Sand Rails, as well as any other vehicle. Orange 50 Caliber Racing On/Off Rocker Switch - This rocker switch is a 20 amp switch and can be used for 12 or 24 Volt applications. 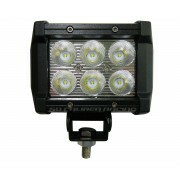 These are completely waterproof and can be used in UTV's, Boats, Cars, Trucks, Sand Rails, as well as any other vehicle. 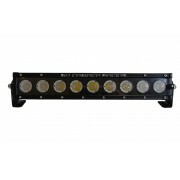 3" Elite Series LED Light Bar- Size: 3"(L) x 2.7’’(H ) x 3’’(D)- Operates on 9-36 Volts DC including 12 and 24 Volts- Flood beam - 6 LED bulbs 3 watt each 18 watts total- Pivoting mounting system- 1800 lumens, 6000k- FREE 50 Caliber Koozie with Each light bar order! Elite Series 5.5 inch LED Bar with Flood Beam- Dimensions: 6.75"(L) x 2.7’’(H ) x 3’’(D)- Operates on 9-36 Volts DC including 12 and 24 Volts- Flood beam - 12 LED bulbs 3 watt each 36 watts total- Pivoting mounting system- 3600 lumens, 6000k- FREE 50 Caliber Koozie with Each light bar order! 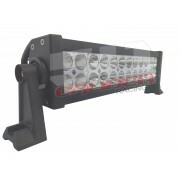 11" Elite Seies LED Light Bar - Size: 11.25"(L) x 2.7’’(H ) x 3’’(D) - Operates on 9-36 Volts DC including 12 and 24 Volts- Spot beam - 6 LED bulbs 60 watts- Pivoting mounting system- 6000 lumens, 6000k- FREE 50 Caliber Koozie with Each light bar order! 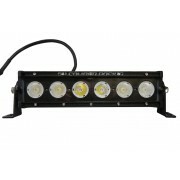 - Size: 8"(L) x 2.7’’(H ) x 3’’(D)- Operates on 9-36 Volts DC including 12 and 24 Volts- Flood and spot combo beam - 18 LED bulbs 3 watt each 54 watts total- Pivoting mounting system- 5400 lumens, 6000k- FREE 50 Caliber Koozie with Each light bar order! 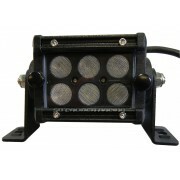 - Size: 16.5"(L) x 2.7’’(H ) x 3’’(D)- Operates on 9-36 Volts DC including 12 and 24 Volts- Flood and spot combo beam- Pivoting mounting system- 5600 lumens, 6000k- FREE 50 Caliber Koozie with Each light bar order! - Size: 16"(L) x 2.7’’(H ) x 3’’(D)- Operates on 9-36 Volts DC including 12 and 24 Volts- Flood and spot combo beam- Pivoting mounting system- 9000 Lumens - 6000k- FREE 50 Caliber Koozie with Each light bar order!